During World War One many commanders were driven to the limits of sanity by the stress of battle. Campaigns would last for months on end and result in little to no success. Even a commander as accomplished as Erich Ludendorff, who had led the German Army to some magnificent victories earlier in the war, cracked under the collective strain caused from managing a war seemingly without end. 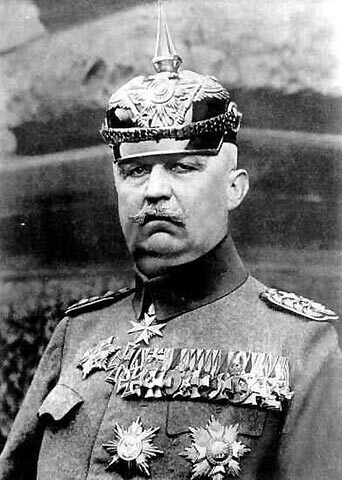 Famously, on September 28th Ludendorff collapsed as he came to the shocking realization that the Germans were going to lose the war. Witnesses said that he fell to the floor and began frothing at the mouth. Ludendorff had suffered a nervous breakdown at the supreme moment of crisis for Germany. The unyielding stress of constant campaigning destroyed men both physically and psychologically. In Ludendorff’s case the latter led to the former. He was reduced to a blathering shell of his once supremely confident (or arrogant) self. It is understandable how a commander of the defeated side could end up in such a mental state. More revealing as to the nature of the war was the rarer instance when a commander cracked under the strain of success. During World War I, the brutal nature of the fighting so conditioned field commanders to an unceasing war of attrition that after a couple of years many of them no longer believed a resounding victory was even possible. Nowhere was this truer than in the Russian Army. In 1915 the Russians were involved in what came to be known as The Great Retreat. Between June and September of that year they were forced into a retreat hundreds of miles eastward due to a devastating offensive by the German led Central Powers. 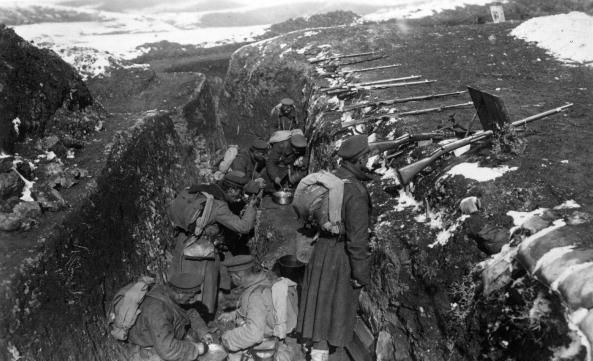 Russian losses during this time totaled over two million men. Yet if there was one thing the Russians had it was men. 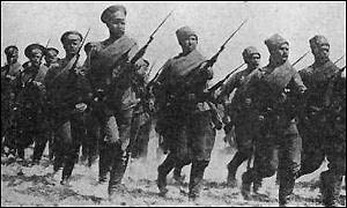 By the middle of 1916, the Russian Army had lost a mind boggling five and half million soldiers, yet they could still summon armies with hundreds of thousands of new recruits. At this point in the war, the Russians were hoping the weight of numbers would eventually defeat their enemies. They were no longer looking for a brilliant tactical victory. Their strategy was to just hold on in the belief that the weight of Russian numbers would eventually force the Germans and Austro-Hungarians to sue for peace. The idea of success had changed dramatically since the beginning of the war. Victory had a much different meaning after only two years of fighting. Such was the thinking up until the shockingly successful Brusilov Offensive in June 1916. The Russian army was used to incurring casualties at a horrifying rate. This was due to a tactical doctrine which valued mass human wave attacks on narrow sectors in the hope of a breakthrough. The brave Russian peasant soldiers were mowed down by machine gun and artillery fire. Russia’s military leadership planned on continuing these lethal tactics. Troop levels were boosted to the extent where the Russian forces would soon outnumber the enemy by almost a million soldiers. Nevertheless, many of their generals did not believe that this would be enough to break through the enemy lines. One who believed otherwise was Alexei Brusilov. He commanded Russian forces on the southwestern sector of the Eastern Front. His forces did not have the numerical superiority that other Russian commanders enjoyed further north. Brusilov was forced by necessity to innovate new tactics based on detailed advance preparation, precision artillery bombardments and the use of assault troops to exploit breakthroughs. This tactical doctrine worked wonders as it led to the most successful Russian offensive of the entire war. On June 4th the Russian Eighth Army commanded by Alexei Kaledin – a subordinate of Brusilov – surged forward after a sensationally precise bombardment against the Austro-Hungarian Fourth Army. The bombardment cut over fifty gaps in the barbed wire. Through these exposed gaps poured the assault troops which quickly overran the Austro-Hungarian front line. Soon they were upon the second line of trenches, which had been thrown into chaos by the sudden swiftness of the Russian attack. The defense was no more successful. 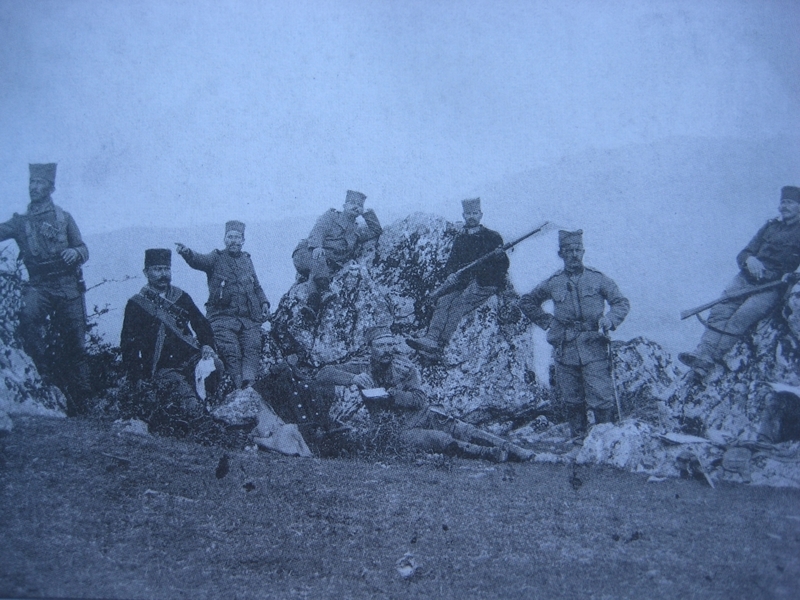 By the time, the Russians reached the third line the Austro-Hungarian soldiers were in full flight, proceeded only by their officers. 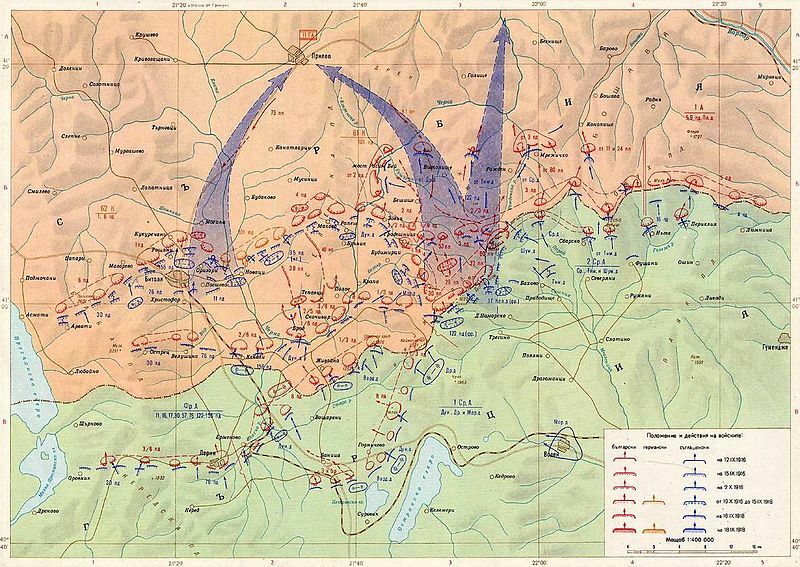 The Austro-Hungarian leadership was in shock, they had never experienced such a finely executed attack by Russian forces. 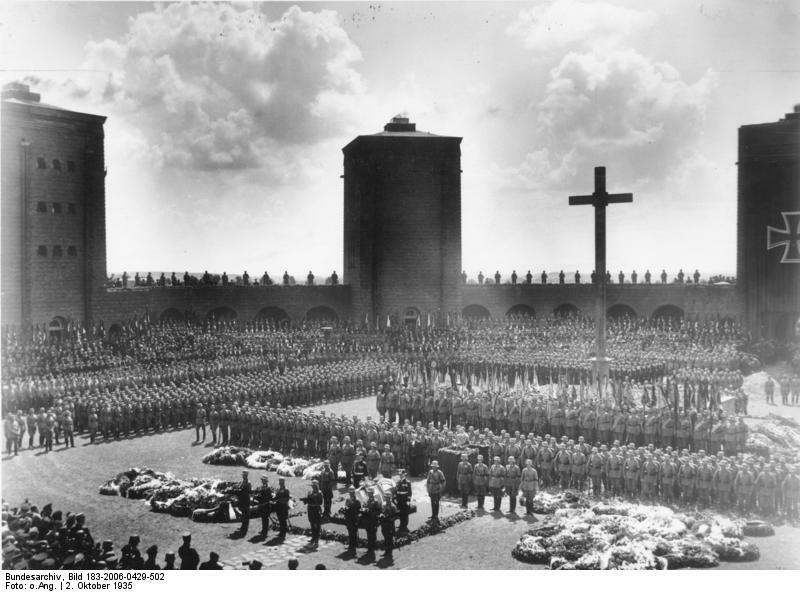 Within a matter of days, the Austro-Hungarian Fourth Army was either, dead, wounded or had been taken prisoner. At the start of the battle, the Fourth Army had numbered 150,000, after just four days there were only 27,000 men left in its ranks. It was an incredible breakthrough, but strangely enough the Austro-Hungarians were not the only ones in shock. Kaledin was just as stunned by the victory. He had counseled against attack in the first place. Now that he was staring victory in the face, his nerves were totally frayed. As the historian Norman Stone relates, “Kaledin practically had a nervous breakdown at the extent of his own victory, suspecting that there must be a trap somewhere….A combination of real and imagined weakness stopped Kaledin’s offensive just when it was on the threshold of a gigantic victory.” This was remarkable. Kaledin’s Army had finally found success, now an even greater victory was there for the taking. All he had to do was push onward, yet he found this impossible. Enemies began to appear in his imagination, all the more powerful since they were not real. He believed the Germans would strike the Eighth army’s northern flank, roll it up and possibly destroy his army. After all, a similar thing had happened to him the year before. Conversely, a dramatic breakthrough was not something Kaledin had experienced. How could this be possible? It must be a trick or a trap. An entire German army was somewhere hidden in the vast spaces of the Eastern Front waiting to strike. Kaledin was wrong, but the enemies in his mind proved tougher to overcome than those in the field. 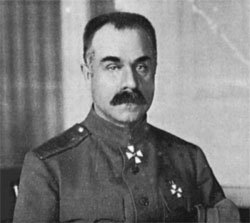 As the Eighth Army’s forward movement stalled in order to bring up reserves, Kaledin convinced Brusilov that another success was impossible. In Kaledin’s mind it certainly was, even though the success of his own army had put the lie to his worries. 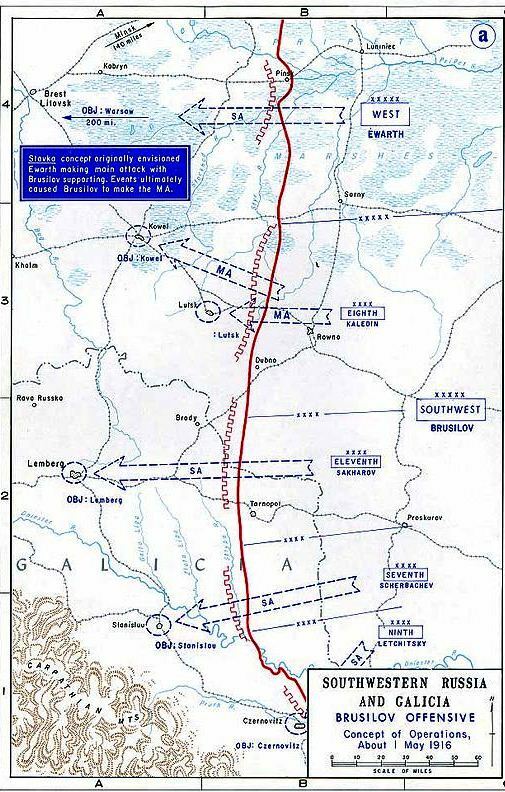 Brusilov tried to get Russian troops further north of Kaledin’s Eighth Army to go on the attack. Their commander, Alexei Evert did not have an attack of nerves, instead he believed that victory was impossible despite commanding a massive army that outnumbered the opposition by 800,000 on his end of the front. Success proved impossible because Evert stalled, came up with a litany of excuses and finally had his force make a half-hearted attack which inevitably failed. An incredible opportunity to put the Austro-Hungarian Army out of the war on the Eastern Front had been lost. The Germans reinforced the front with stouter resistance. Brusilov shifted his attack further south. Kaledin’s nerves calmed, he would no longer have to deal with success or imagined defeat. A historic opportunity had vanished. 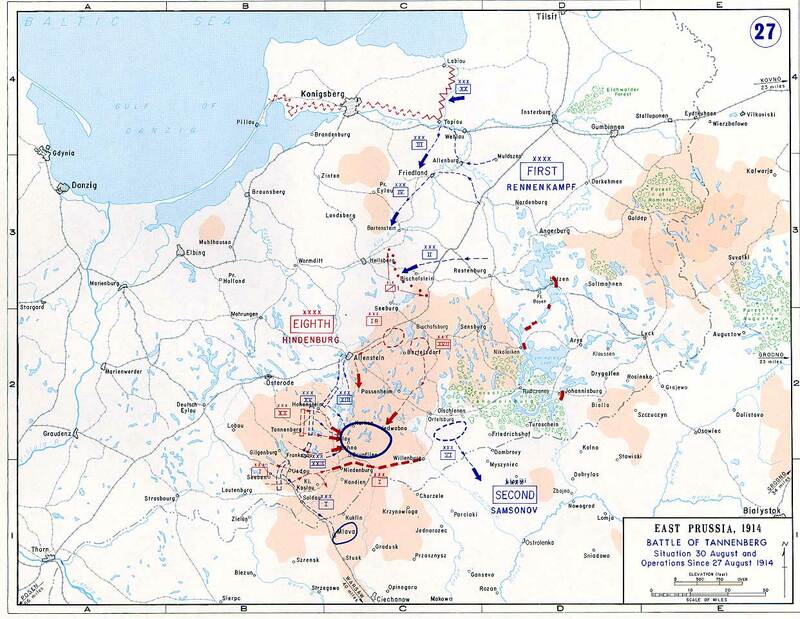 For all of its initial success, the Brusilov Offensive ground down into a quagmire over the next several months. The Russians had gained thousands of square miles in territory, but this was not much of a victory for an empire that had plenty of land to spare. 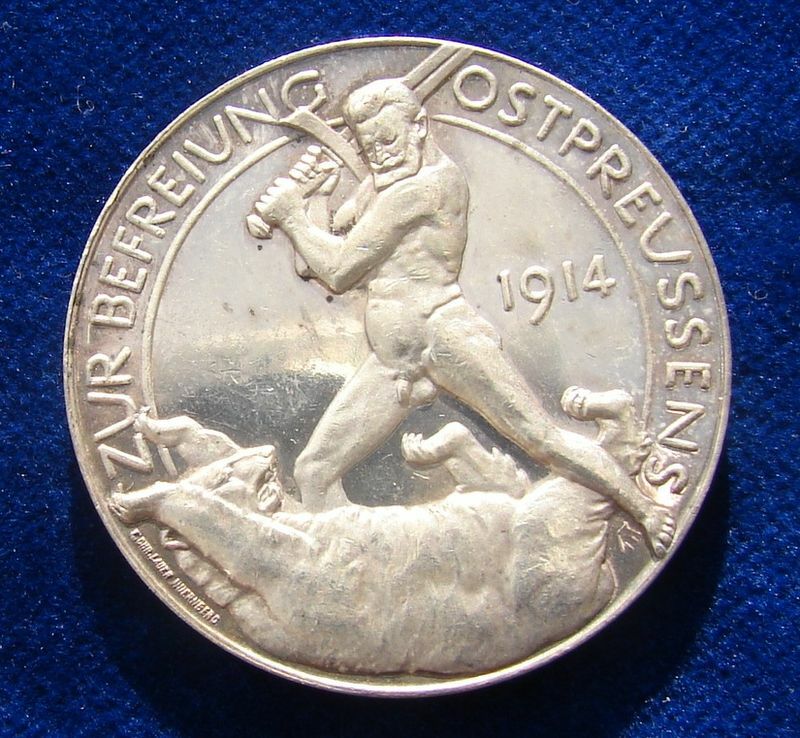 They had been on the verge of destroying the Austro-Hungarian Army. Such an outcome would have transformed the Eastern Front. Instead they ended up only gaining some of what they had lost the year before and these gains would soon be lost again. The Russian war effort was characterized by waste and futility, but the Brusilov offensive was much more than this. It was the one moment during the war where they could have dealt the Austro-Hungarians a mortal blow and at the same time grievously wounded the German war effort. It was not failure that undid this offensive, it was success. Alexei Kaledin’s nerves were shattered by just the opposite of what he had expected. Success was staring him right in the face and the best he could do was turn away.